Cuphead's new job has made him a few colorful enemies. 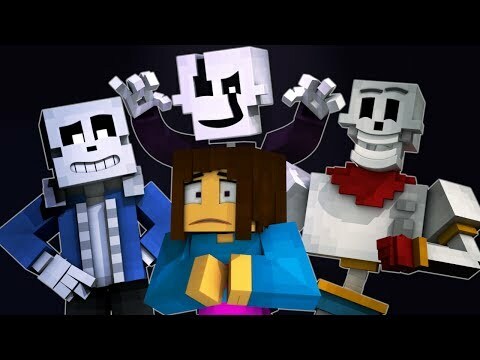 (Thank you to all the YouTube stars who helped bring these highly animated villains to life!) 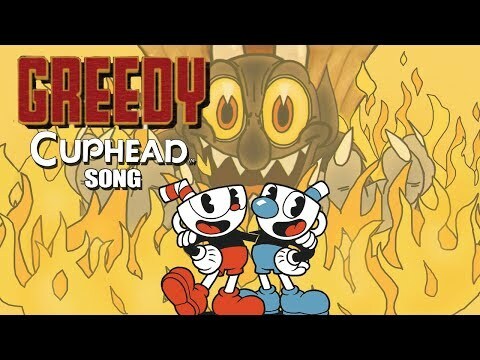 iTunes ➤ https://itunes.apple.com/us/album/cuphead-the-musical-feat-markiplier-natewantstobattle/1362620018?i=1362620019 BLOOPERS ➤ https://youtu.be/z2feizpayCw RECORDING VIDEO ➤ https://youtu.be/5lzFUGt4YBY COMMENTS ➤ https://www.youtube.com/watch?v=1kLya_d2GvE Check out Amazon, Spotify, and other digital stores for more music download options! 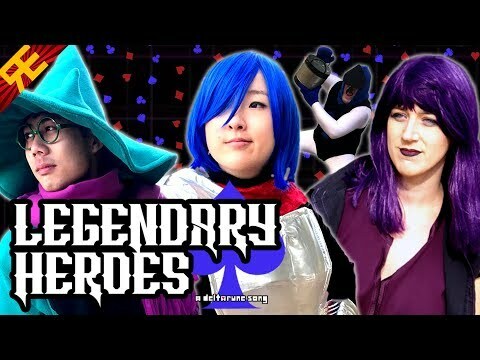 Cast The Devil ➤ Markiplier (https://www.youtube.com/user/markiplierGAME) King Dice ➤ NateWantsToBattle (https://www.youtube.com/user/NateWantsToBattle) Elder Kettle ➤ Jacksepticeye (https://www.youtube.com/user/jacksepticeye) Hilda Berg ➤ Dodger (https://www.twitch.tv/dexbonus/) Dr. Kahl & Wally Warbles ➤ MatPat (https://www.youtube.com/channel/UCo_IB5145EVNcf8hw1Kku7w) Briney Beard ➤ The Completionist (https://www.youtube.com/user/ThatOneVideoGamer/) Cala Maria ➤ Cristina Vee (https://twitter.com/CristinaVee) Grim Matchstick ➤ Andy Stein (https://www.youtube.com/mandopony) Sally Stageplay ➤ EileMonty (https://www.youtube.com/user/EileMontyVA) Baroness Von Bon Bon ➤ Adrisaurus (https://www.youtube.com/user/adrisaurus) Blind Spectre ➤ Midnight Marinara (https://www.youtube.com/channel/UCtzdP2UGKn4kwl62rQNnfhw/) Carrot, Goopy Le Grande & Ribby ➤ Peter Srinivasan (https://www.youtube.com/user/petersrin) Onion & Croaks ➤ Devon Chenoweth (https://www.redbubble.com/people/linguard) Rumor Honeybottoms ➤ Gwen Saltzman (https://www.instagram.com/apprenticenevermaster/) Beppi the Clown ➤ Nate Morse (https://youtube.com/randomencountersent) Cagney Carnation, Djimmy the Great, Werner Werman, Potato, & Minions ➤ AJ (https://youtube.com/randomencountersent) A HUGE THANK YOU to StudioMDHR for such an incredible game and amazing characters to feature! Please support them and buy the game (and soundtrack!) 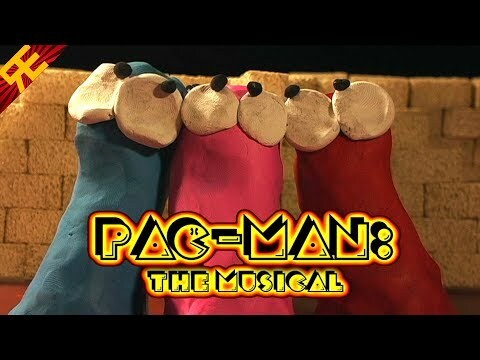 today... and then join us eagerly awaiting a sequel! ;) (Did you find The Beard in every musical? Tell us his timecode in the comments!) ✸BECOME AN ENCOUNTERER✸ Subscribe Now and Watch us Weekly! ======================= ✪ GET RANDOM ENCOUNTERS GEAR! ✪ EXCLUSIVE DESIGNS: ➥http://www.crowdmade.com/randomencounters BASIC: ➥https://teespring.com/stores/random-encounters Back us on Patreon for exclusive perks, including free music ☞ www.patreon.com/randomencounters ======================= LYRICS Once upon a time, there was a little fella named Cuphead. He and his brother had a bit of a gambling problem, and things got kind of out of hand. The sleazy townsfolk met together that night to discuss the problem, knowing that Cuphead would soon be coming for them… You’ve all probably heard the rumors- -about this plucky little fella named Cuphead- -He’s coming to collect on our deals with The Devil- -and we need to stop him! Hey! He’s comin’ this way, so beware! Say, let’s shoot him right out of the air! I could put him on icing myself! And we three veggies won’t be so good for his health! 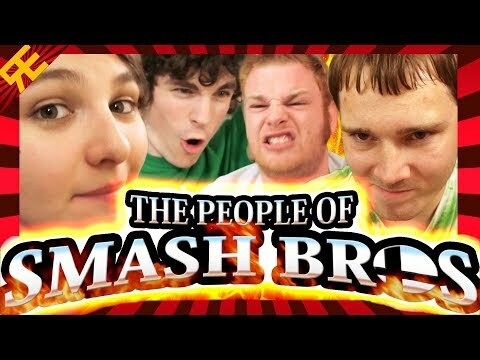 Let’s just smash him! Or whack him with a trout! We could thrash him- And then pour his insides out! We’re gonna kill off Cuphead! We’re gonna make him die! 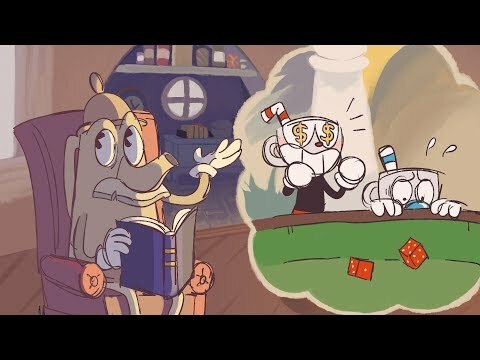 We’re gonna kill off Cuphead with a big goodbye! 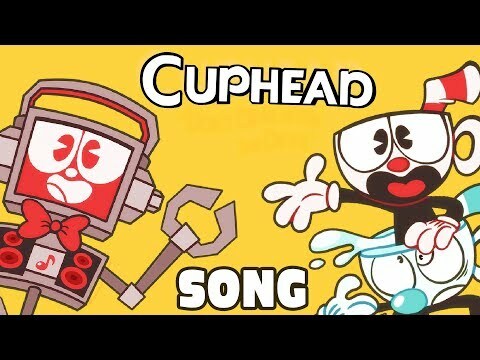 We’re gonna kill off Cuphead! We’re gonna make him pay! His debt to the Devil is coming due today! Ooo, just wait’ll I get my wings on that Cuphead! I’d like to chip his china… I’ll see that his life is cut short! While I call in the cops to come bee support! Why not give him the ride of his life! Then shank that shnook with a briar sharp as a knife! Let’s use science! And arm ourselves for war! Sky-high violence- -is what Cuphead has in store! We’re gonna kill off Cuphead! We’re gonna make him die! 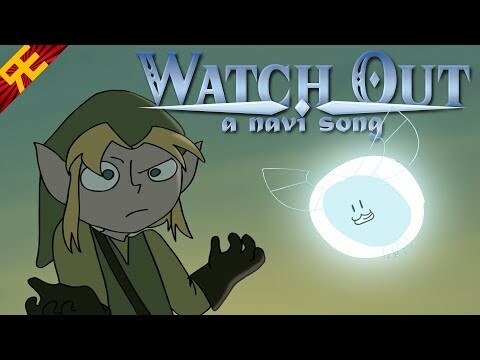 We’re gonna make him fish food! And zen ve’ll make him fry! 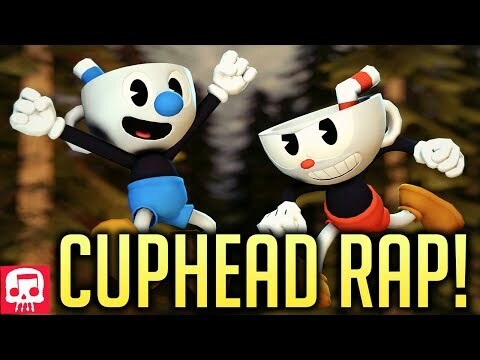 We’re gonna kill off Cuphead! We’re gonna make him pay! His debt to the Devil is coming due today! One shift of the stars, and the tide is sure to turn! Too bad Cuphead’s about to lose big! 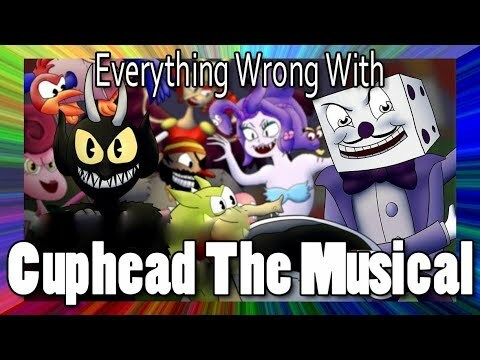 Three heads will hunt him till Cuphead feels the burn For the rest of his headlining gig! They call me King Dice, cause that’s who I am! A royal pain whose diabolical plan to close some contracts needs a sucker or two. So come on, Cuphead! Kid, I’m talking to you! Come shake my hand! We got a deal? Good, cause now it gets real… You agreed to my game and you lost! You accepted the odds, now you’ll cough up the cost! Don’t screw with me kid, or I swear I’ll take my tea from your skull like cheap chinaware! Scare him! Scorch him! Let’s liquify his brains! Taze him! Torch him! And then bury his remains! We’re gonna kill off Cuphead! We’re gonna make him die! It’s his final curtain! And the end is nigh! 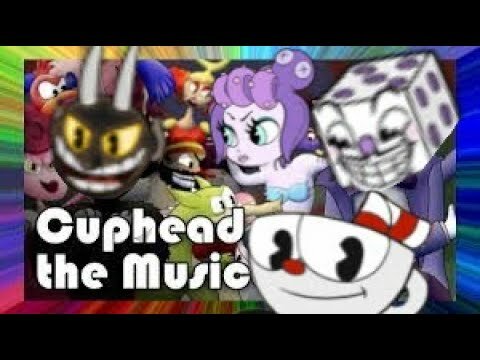 We’re gonna kill off Cuphead! We’re gonna make him pay! His debt to the Devil Is coming due today! (x5) And they all live happily ever after! Wait, no they didn’t. I’m pretty sure those people killed him. Oh well. Circle of Life. Check out Amazon, Spotify, and other digital stores for more music download options! 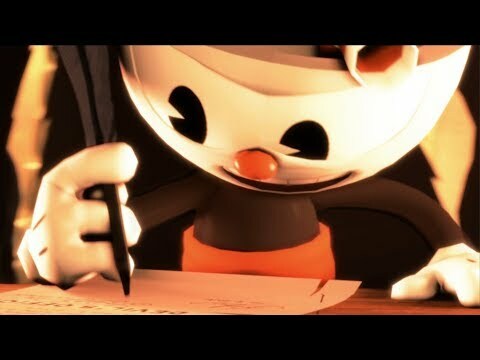 Once upon a time, there was a little fella named Cuphead. He and his brother had a bit of a gambling problem, and things got kind of out of hand. -and we need to stop him! Hey! He’s comin’ this way, so beware! Say, let’s shoot him right out of the air! I could put him on icing myself! And we three veggies won’t be so good for his health! Or whack him with a trout! And then pour his insides out! We’re gonna kill off Cuphead! We’re gonna make him die! We’re gonna make him pay! Ooo, just wait’ll I get my wings on that Cuphead! I’ll see that his life is cut short! While I call in the cops to come bee support! Why not give him the ride of his life! Then shank that shnook with a briar sharp as a knife! And arm ourselves for war! 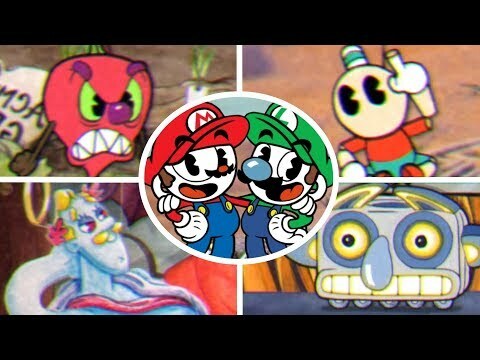 -is what Cuphead has in store! We’re gonna make him fish food! And zen ve’ll make him fry! and the tide is sure to turn! Cuphead’s about to lose big! They call me King Dice, cause that’s who I am! to close some contracts needs a sucker or two. So come on, Cuphead! Kid, I’m talking to you! You agreed to my game and you lost! You accepted the odds, now you’ll cough up the cost! I’ll take my tea from your skull like cheap chinaware! And then bury his remains! And the end is nigh! And they all live happily ever after! Wait, no they didn’t. I’m pretty sure those people killed him. Oh well. Circle of Life.